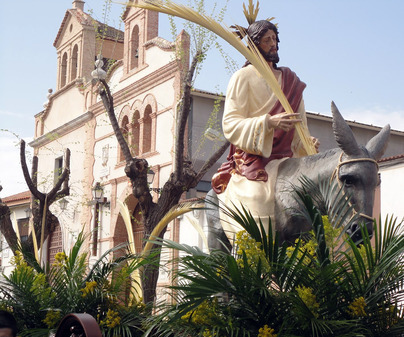 In Villarrubia de los Ojos, Easter stands out because of its 7 processional parades, distributed among Friday of Sorrows Palm Sunday, Holy Thursday and Good Friday, until Holy Saturday. More than 3,400 brothers, with habits and hoods in the colors of their brotherhood, and a massive number of spectators showing a great devotion in the itineraries, make the visitor live the special emotion that these festivities have in Castile-La Mancha. 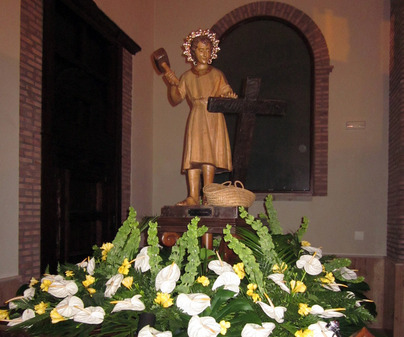 On Holy Thursday at sunset, three brotherhoods jointly carry out "The Flagellation" procession. Accompanied by the bugle and drum band, the first brotherhood carries 4 paces: "Infant Jesus holding a globus cruciger", "The Arrest", "Jesus Nazarene" and "The Flagellation". Behind them, Soledad brotherhood carries "Infant Virgin", "The Holy Women from Jerusalem" and "Our Lady of Sorrows" paces. When this procession finishes, “The Prayer in the Garden” one starts, with its pace, followed by "Carpenter Infant Jesus". 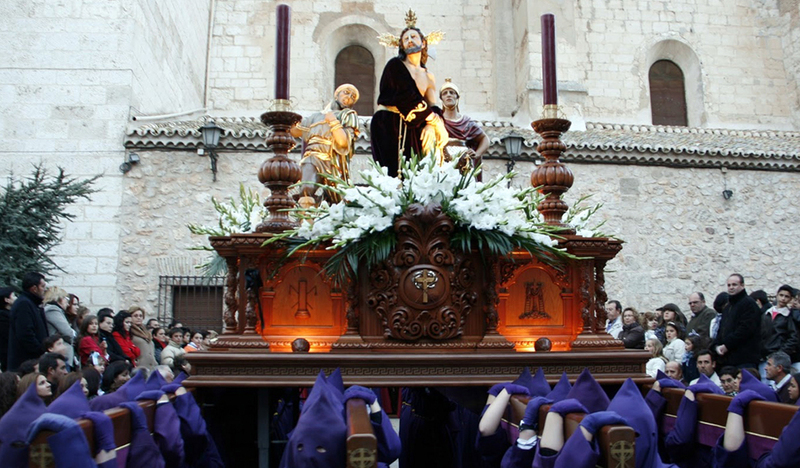 Good Friday stands out because of the procession held in the morning, “The Meetings”. 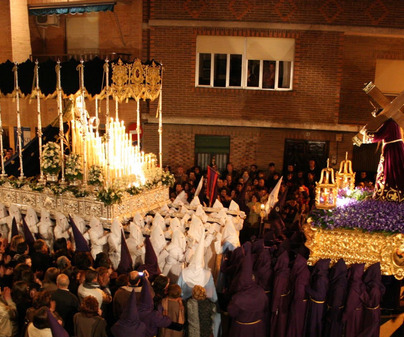 Jesús Nazareno brotherhood carries the “Flagellated carrying the Cross” pace, which will meet “The Virgin” pace, depicting the three Christ falls and The Veronica wiping veil. 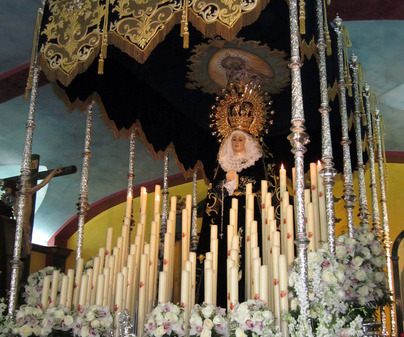 The afternoon is the great opportunity to see most of the paces and the brotherhoods around Villarrubia streets. 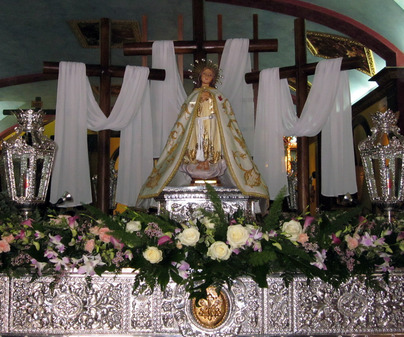 "Infant Virgin ", "Calvary" and "Pieta" go out, behind which " Infant Jesus holding a globus cruciger", "Holy Christ of Agony" and "Holy Sepulcher" march, accompanied by the bugle and drum band. Finally, the parade ends with "Carpenter Infant Jesus", "The Descend", and "Our Lady of Hope" paces. Soledad church houses, also, "Our Lady of Solitude" image. 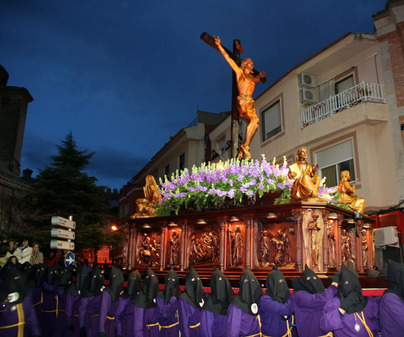 On Holy Saturday "The Resurrection" procession takes place. The 3 brotherhoods, called "Blancos" (whites), "Morados" (purples) and "Verdes" (greens) because of the color of their tunics, go bareheaded and mixed among them. 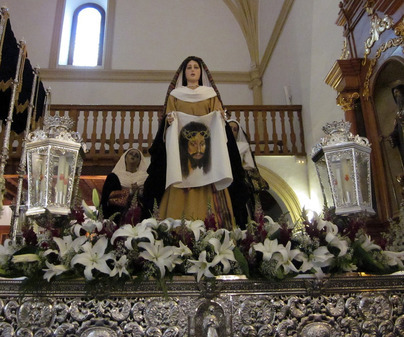 "The Empty Sepulcher", "Resurrected Jesus" and “Virgin Mary” paces close Easter week. Festivity of Regional Tourist Interest.